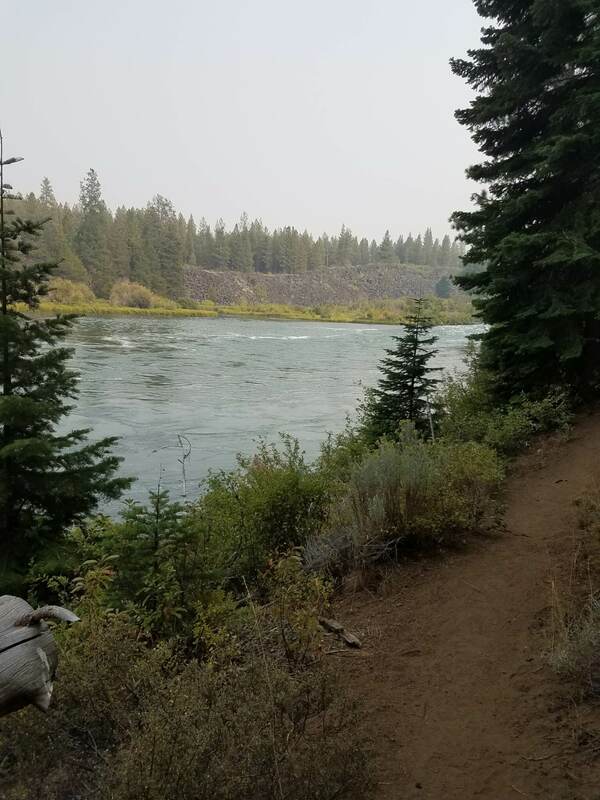 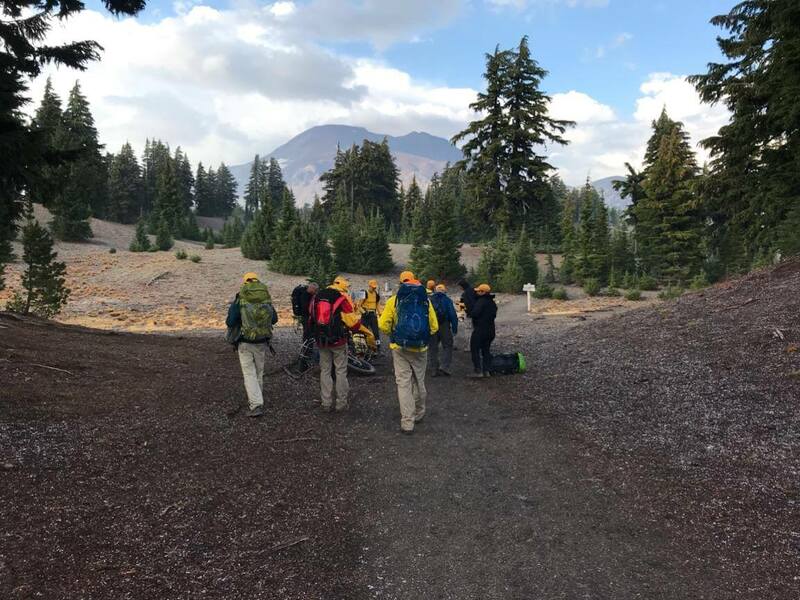 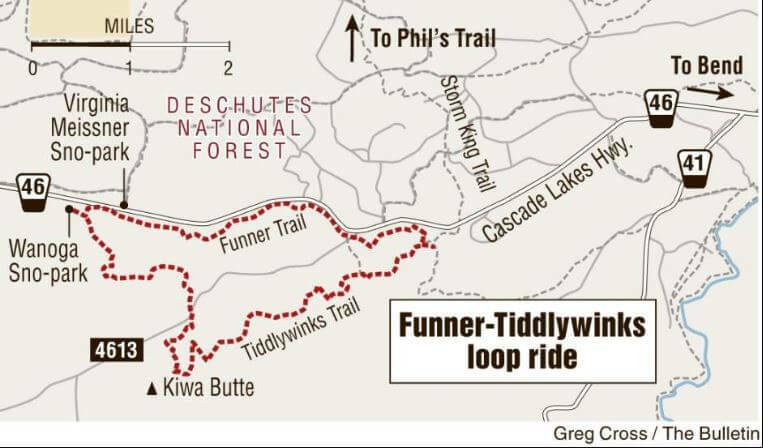 On June 14, 2018 shortly after 4 pm, the Deschutes County Sheriff‘s Office was notified of a stranded hiker on South Sister. 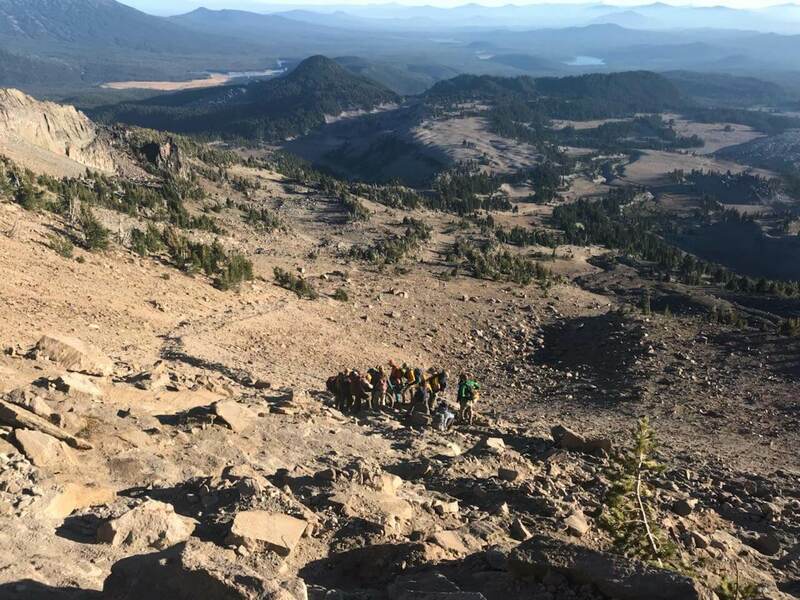 The hiker, Arthur Duncan called 911 to report he had left the South Sister Climbers Trail and at some point slid and fell leaving him stranded. 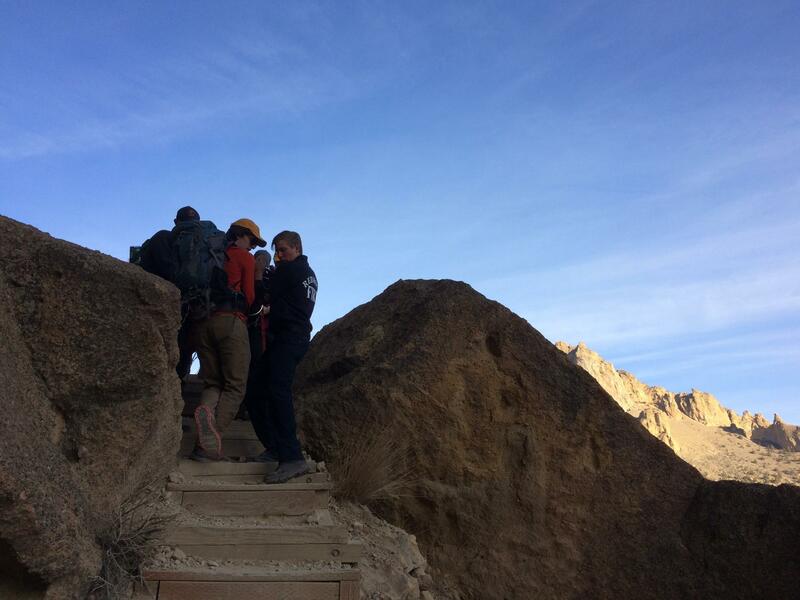 Duncan found himself on a cliff and unable to go down, back up or to the side without risking a dangerous fall. 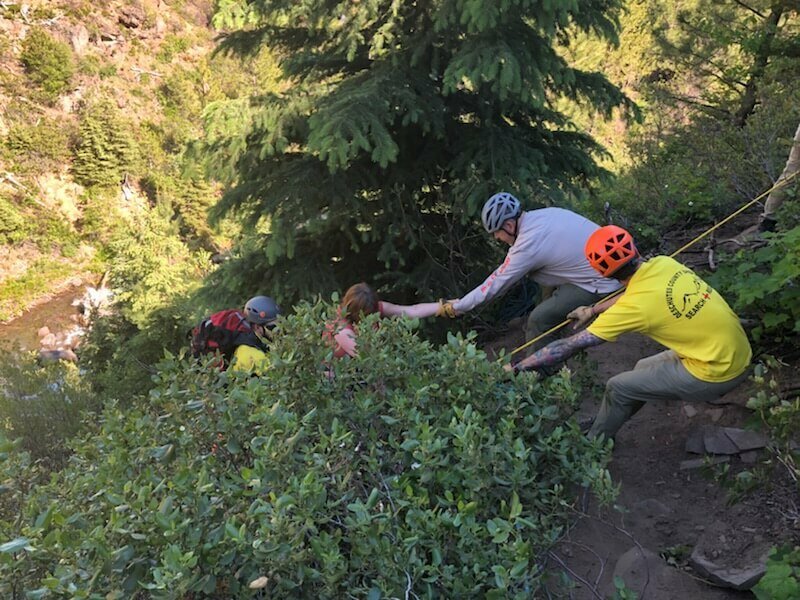 Deputies utilized location data from Duncan’s 911 call and determined he was about 400 feet down from the Caldera rim above the Lewis Glacier. 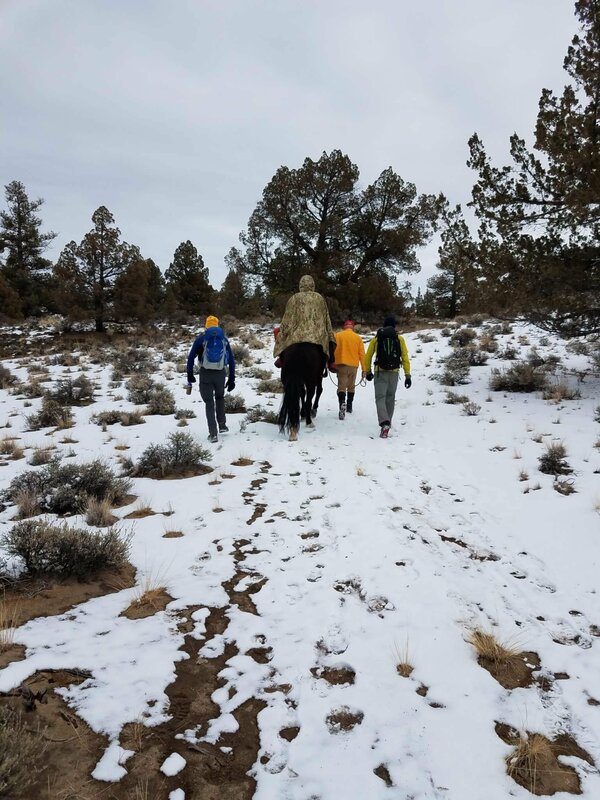 Duncan was at approximately 9800’ elevation and was not prepared for overnight exposure to the elements. 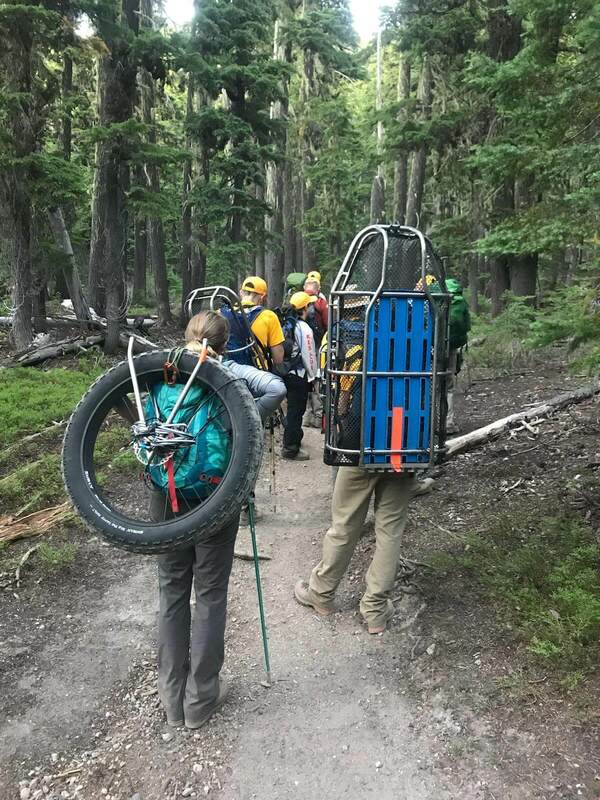 Two DCSO SAR Mountain Rescue Unit members were flown by AirLink to the summit of South Sister while additional SAR members began the hike in from the Devils Lake Trailhead. 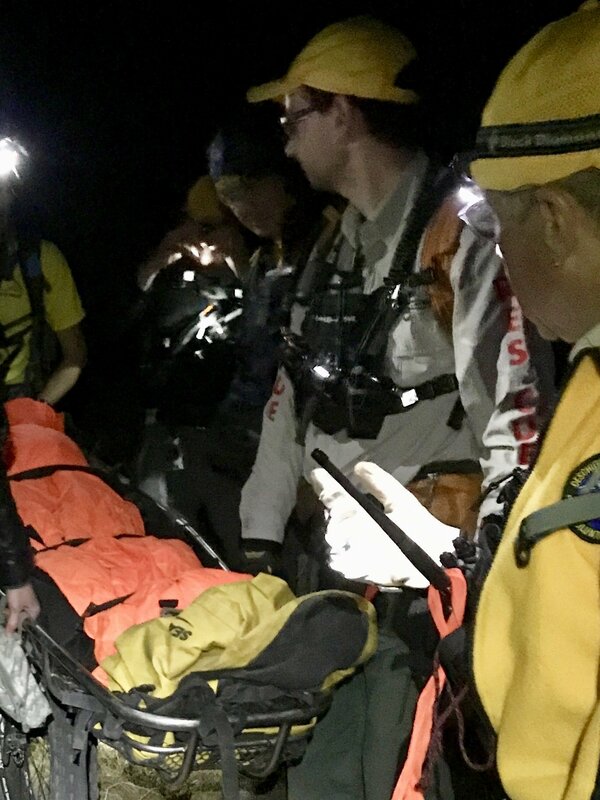 The first two rescuers made contact with Duncan at about 7:35 pm. 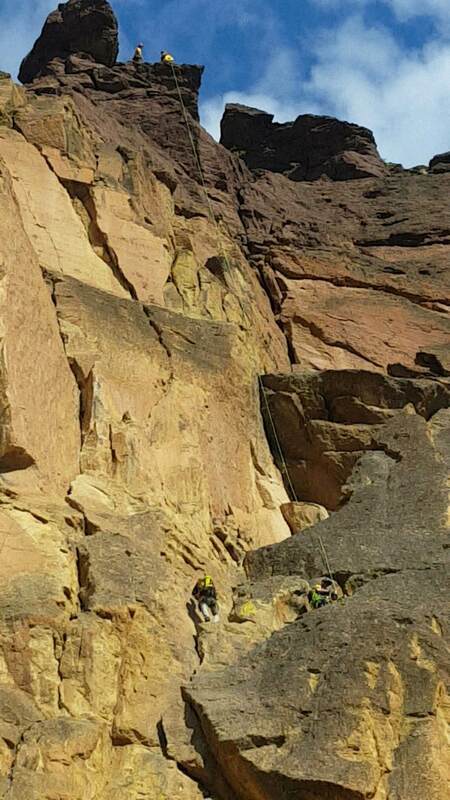 Upon contacting Duncan, rescuers determined he had minor injuries. 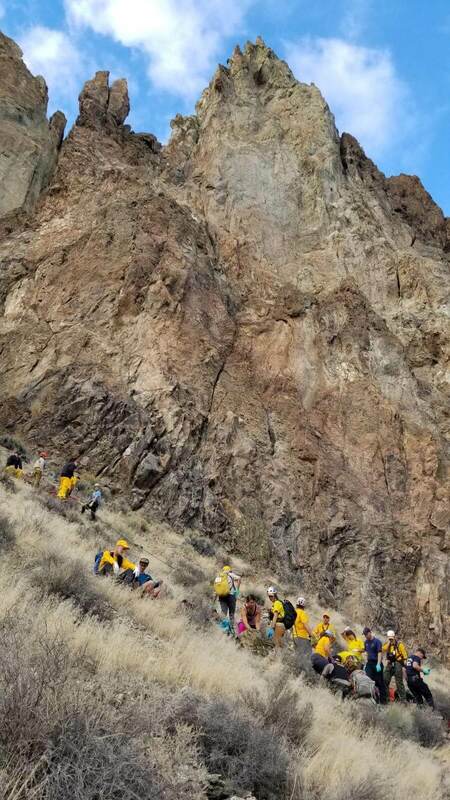 Duncan told them he had gotten off the trail after summitting. 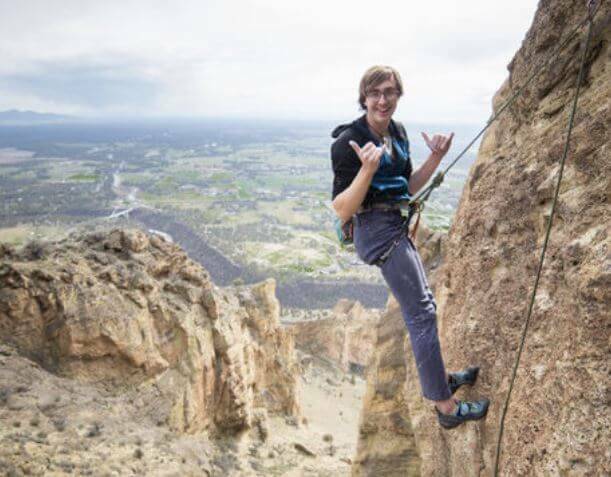 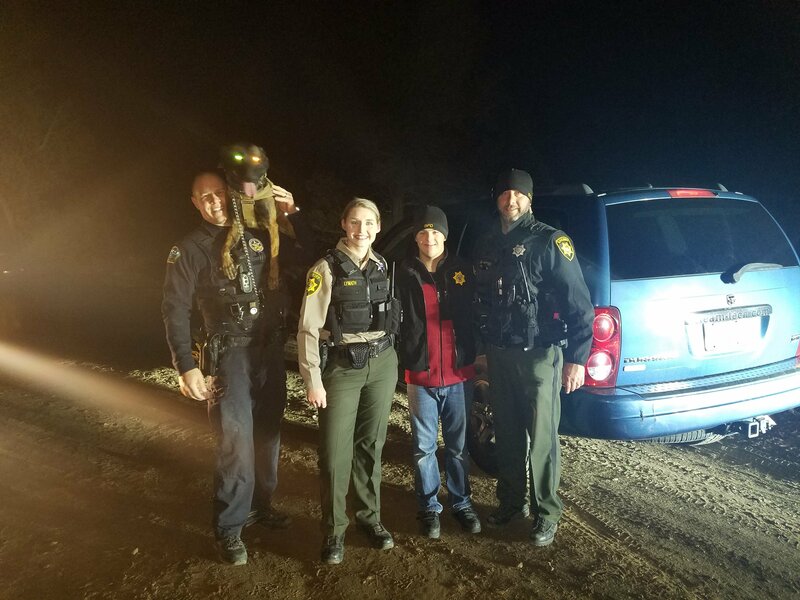 At one point, he slipped, tumbled and slid 50 to 100 feet before catching himself on a rock before going over a cliff avoiding a near certain tragic outcome. 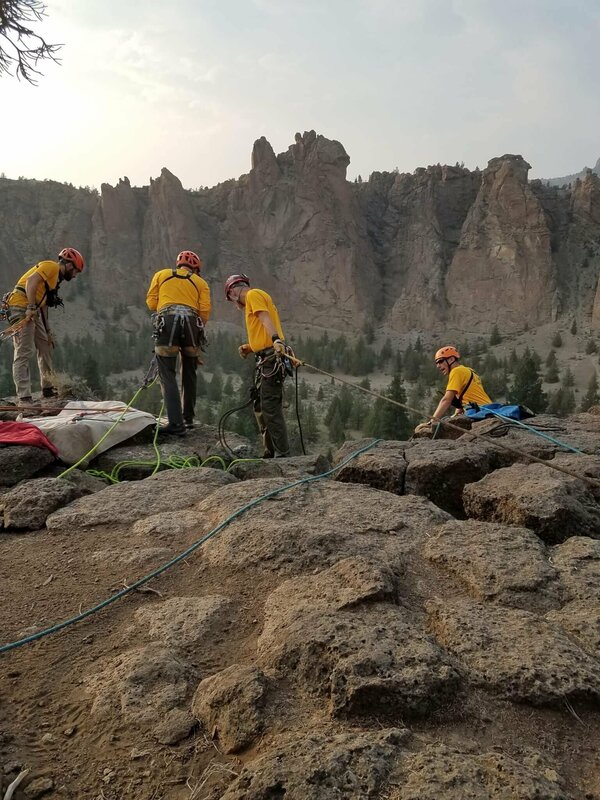 Duncan remained on a ledge until rescuers reached him. 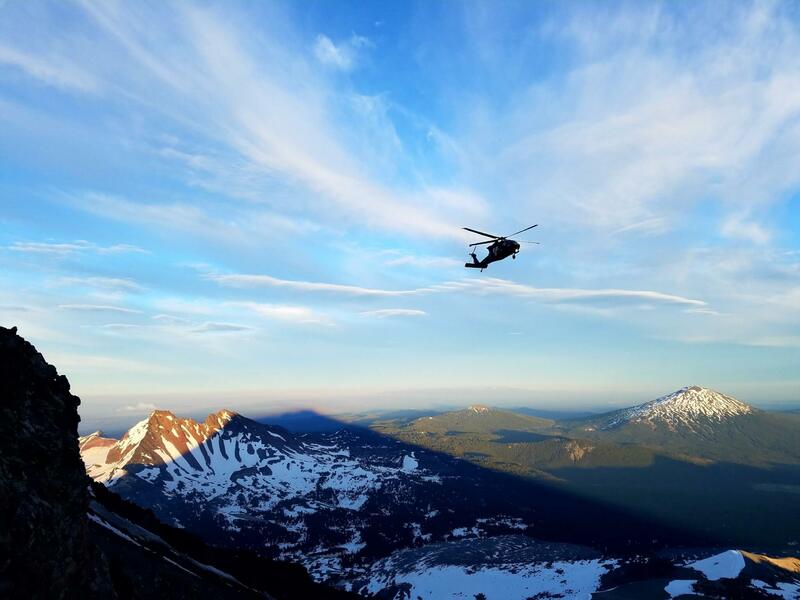 Due to the precarious location, unstable slopes, and limited daylight a hoist capable Oregon National Guard Blackhawk helicopter was requested early in this incident and arrived around 8:30 pm. 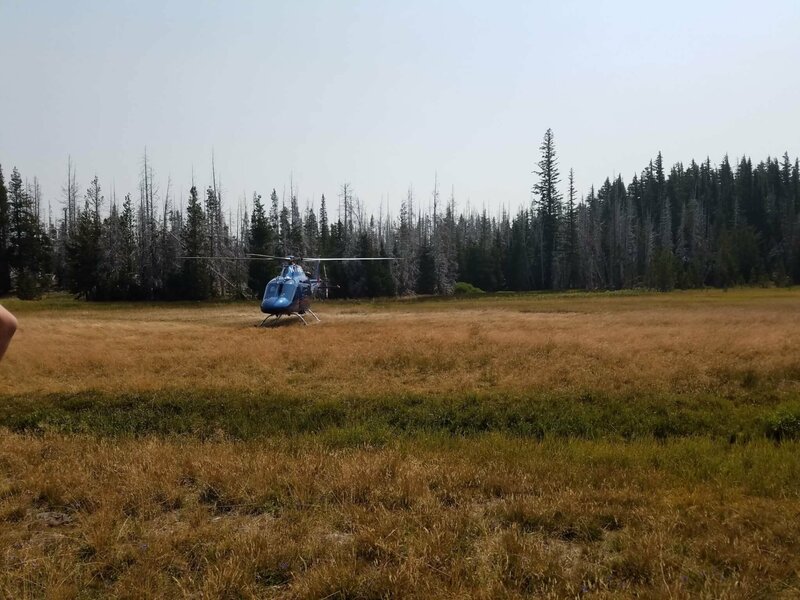 The helicopter was able to hoist Duncan from his position and flown to waiting SAR members at the Mount Bachelor West Village Lodge parking lot. 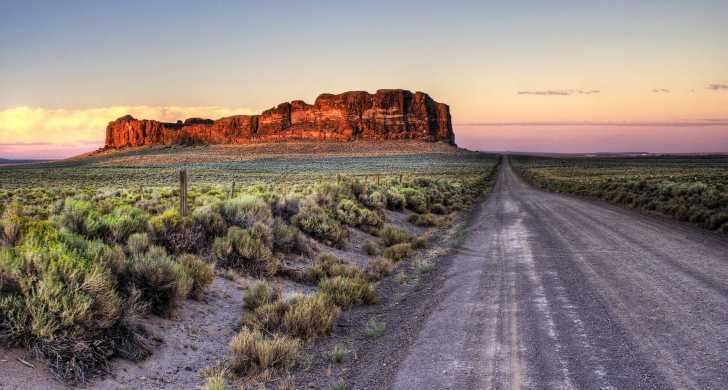 Duncan declined medical care. 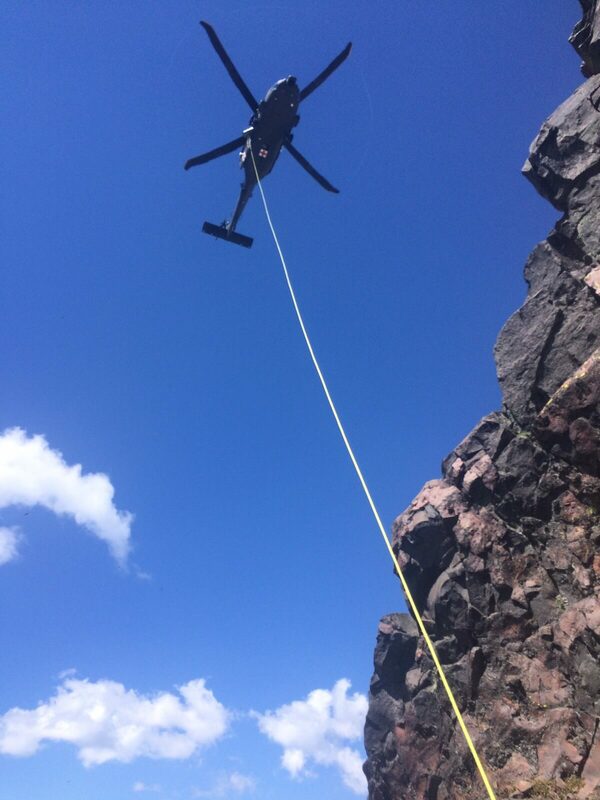 The two SAR members that assisted Duncan were able to make their way back to the summit where they were picked up by a LifeFlight helicopter. 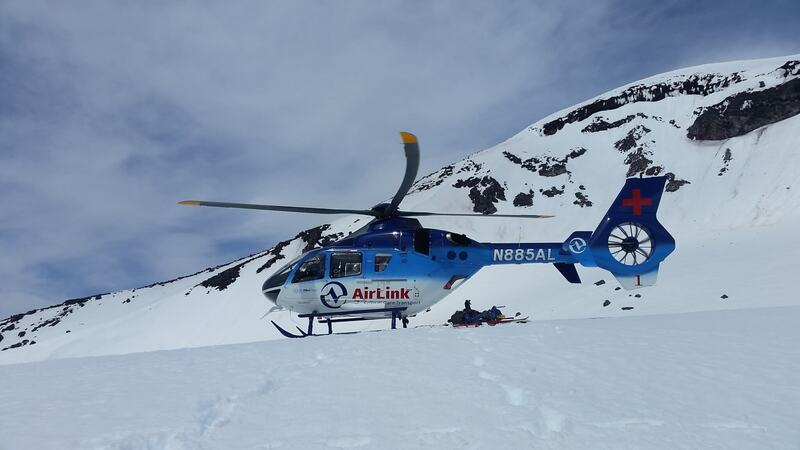 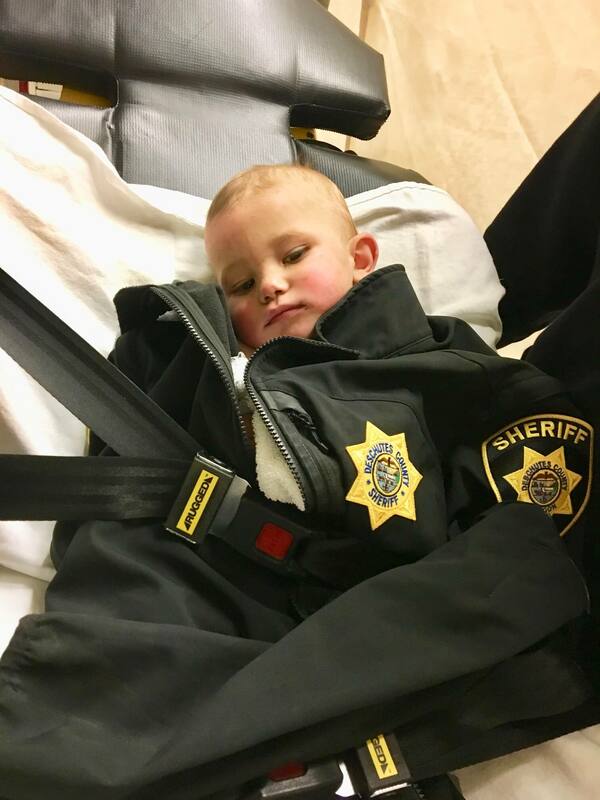 The Deschutes County Sheriff‘s Office is incredibly thankful to AirLink, LifeFlight and the Oregon National Guard. 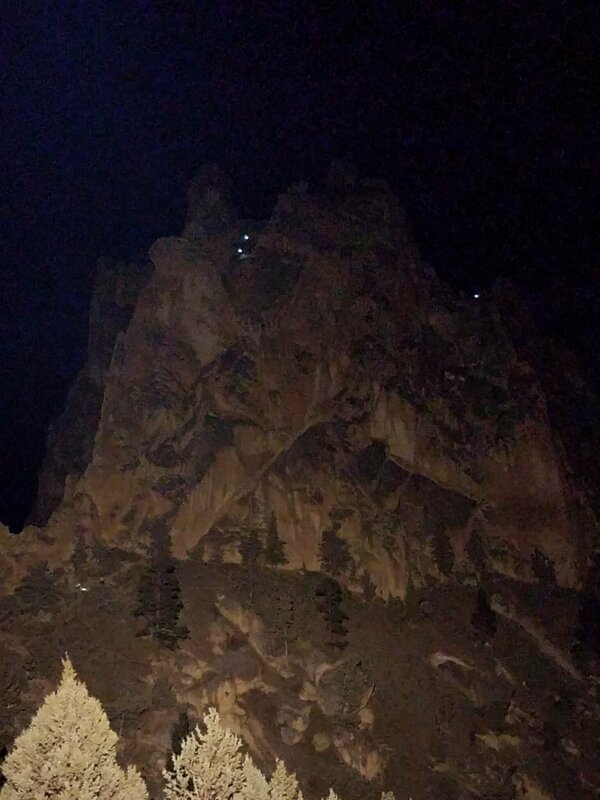 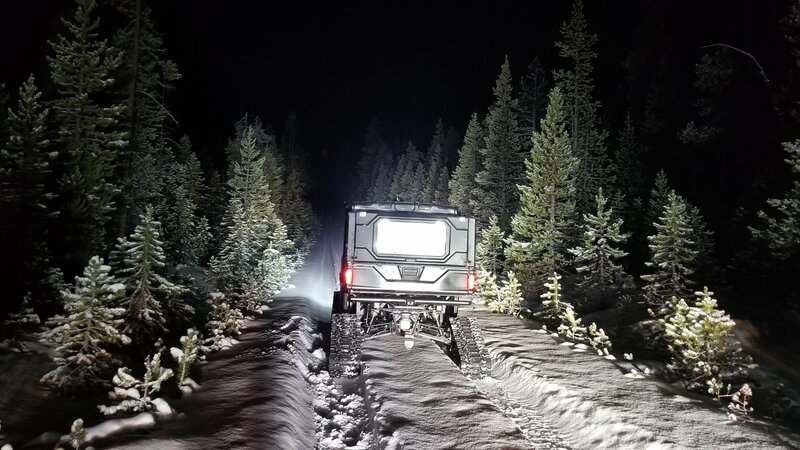 The aircraft contributed to a safe resolution to this incident and prevented a night technical rescue, thus minimizing the risk to Duncan and rescuers. 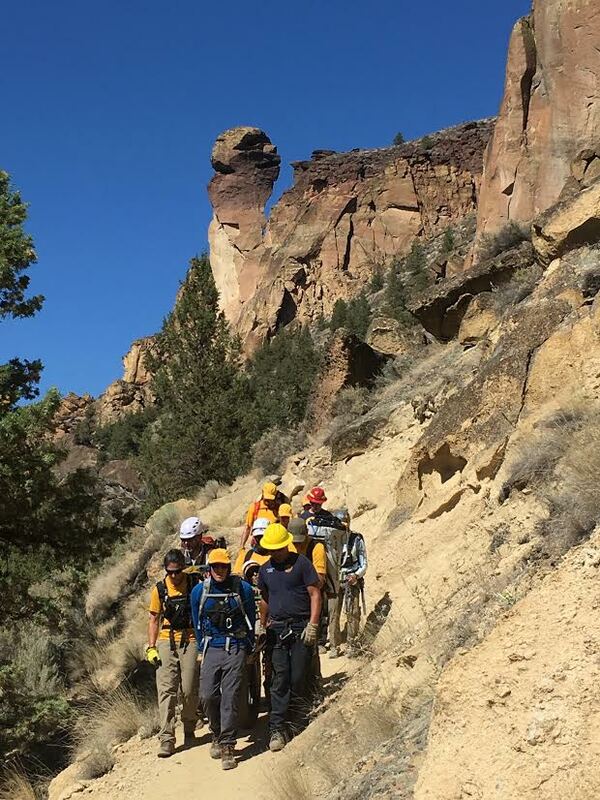 The Deschutes County Sheriff‘s Office would like to remind those hiking/climbing South Sister that by leaving the climbers trail you can face loose rocks, scree, and treacherous conditions.